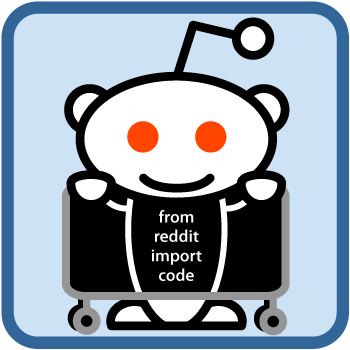 This is a Google Chrome extension built for users of reddit.com. 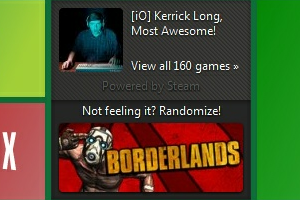 This is a widget for Awesome New Tab Page with Random Steam Game functionality. A ruby gem to give you the power of Google Search in your command line. gem install googlegoogle "hello world"
Wrote detailed documentation for a large part of the reddit API by inspecting network traffic. Earned an Open Sorcerer Trophy! Recreated website for the project from the ground up, including new microcopy. Added support for additional form elements. Added support for more HTML elements for markdown conversion. Yeah, I know... This isn’t open source. 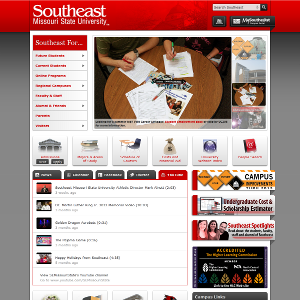 Pioneered the comprehensive 2011 redesign of Southeast Missouri State University’s website while working for Web Design & Support. Created four unique HTML page templates, compensated for user-input HTML, and wrote well over 600 lines (compressed) of CSS. 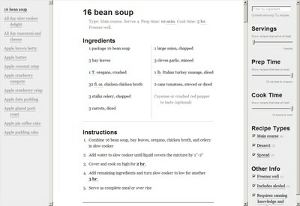 Created a recipe browsing web app for the Chrome Web Store. Features a modern interface, regex-based typography, dynamic filtering, viewport detection and state-saving, and more.